If your online privacy, anonymity and security are important to you, your VPN connection should not let you down in any way. A reliable VPN provider will always provide extra security measures, however good standard security - through encryption and things like a No-Logs policy - might be. Precisely for that reason, 5 Euro VPN uses a built-in Auto Kill switch application. This automatically fetches your computer offline if your network connection is lost for any reason. At that moment, all protection of your VPN connection expires and your IP address is suddenly visible via your internet provider. There you go online anonymity, sometimes without realizing it because you were busy with something else on your computer or, for example, you were called away from your computer. In order to explain the operation of the Kill switch a bit better, it is useful to see a VPN connection as a secure tunnel tube that is placed around your internet traffic. Data from every video you watch or file that you download goes through it, while from the outside nobody can see what happens in that tunnel or where it actually leads. But if the network connection is lost, then that tunnel will also lapse and your computer will automatically search your Internet Service Provider to contact the internet again via an unsecured path. Your VPN is skipped and all of a sudden you are 'just' online via your regular provider, where your IP address can also be read 'just' for cookies and the like. And are you vulnerable to violations of your privacy, hacks, or government authorities that want to know something about you. Now that is fortunately not often a problem for the Dutch, but you will only be a journalist who is dealing with a sensitive subject, or an activist who seeks contact with like-minded people in countries where the government is repressive: then a Kill switch is certain no unnecessary luxury. 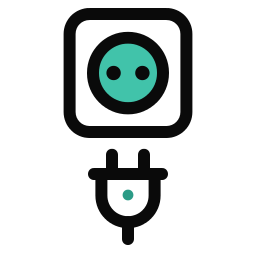 An Auto Kill switch is not a button or key that you have to press: it is part of the software that uses 5 Euro VPN, and works fully automatically. If the connection is lost, for example due to server problems far away from your computer, the connection between your computer and your internet provider will also automatically disappear. Nobody can then trace who was behind the keyboard, and what you were doing online.